This week, special collections libraries across the country are participating in the #ColorOurCollections campaign, pairing the recent popularity of adult coloring books with the fun and fascinating pictures found in their rare book collections. 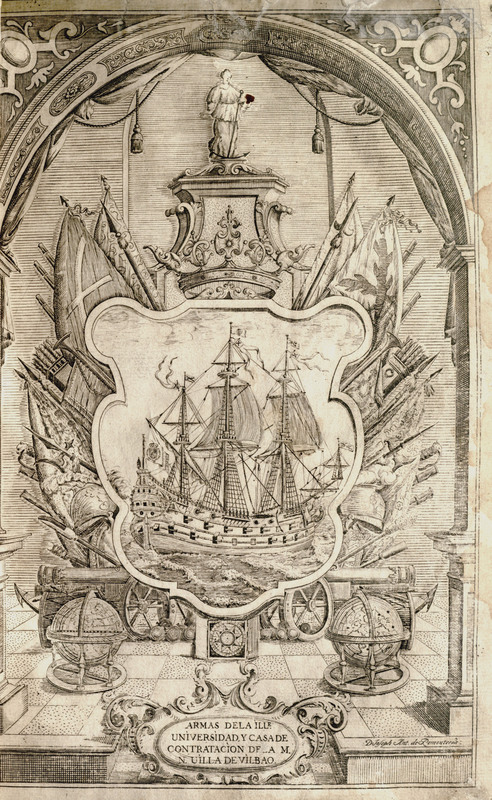 Aside from our comprehensive circulating collection, Pritzker Legal Research Center has more than 2,500 volumes of rare legal texts covering topics such as roman law, canon law, customary law…and, as featured today, maritime law. This picture is taken from the preliminary matter of Ordenanzas de la ilustre Universidad, y Casa de Contratacion de la M.N. y M.L. 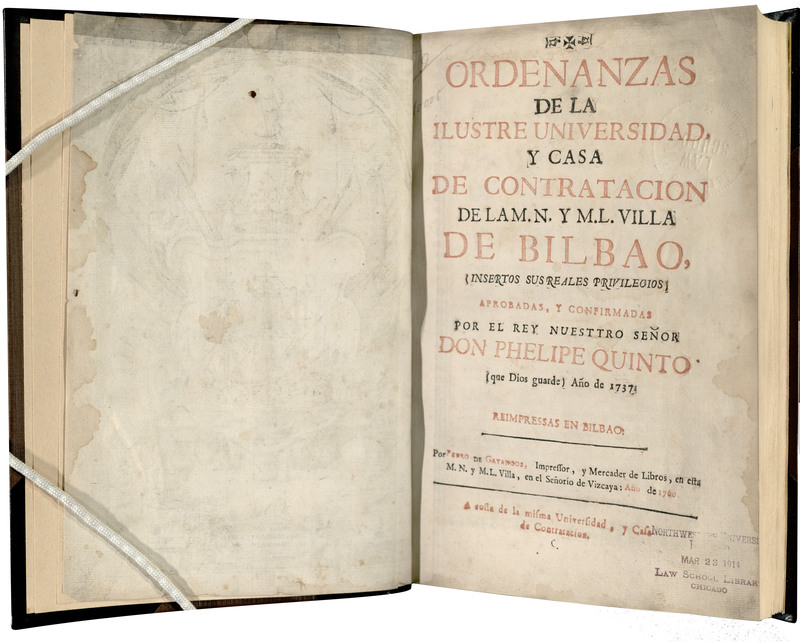 Villa de Bilbao, a book of Spanish commercial and maritime law under King Philip V (although our copy, from 1760, was printed after Philip’s death). While the pages are decorated with a pretty scalloped border, the engraved image at the very beginning of the book is its only illustration. If you find yourself in need of a little work or study break, print out the PDF linked below, grab some colored pencils, and pretend you can hear the waves. If you’d like to see the original, please contact the Special Collections, Digitization, and Archival Services Librarian at Brittany.Adams@law.northwestern.edu.